Live betting is, without question, one of the most attractive and interesting types of betting. Besides, it's also very fun! However, betting is first and foremost the investment in your profit, so all kidding aside - we are talking about serious things here! We are talking about money, and as you know, riches abuse them who know not how to use them. Live betting can be definitely one of your main tools in moneymaking. To make money you must forget about fun and clearly understand what you need for a successful betting. So all you need is some knowledge and skills, and, of course, an account at the best betting site. It’s definitely your number 1 choice! This betting site offers all types of bets, including Asian Handicaps and you will always find any sport event here, even from the minor leagues in any sport. The odds are average or greater. As for popular leagues and tournaments, you can count on one of the highest odds on the market. If few bookmakers can still compete with Bet365 in some aspects, then you won’t definitely find the betting site with a greater number of video broadcasts! 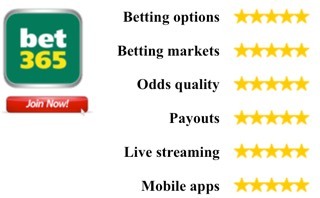 Bet365 mobile applications are some of the best for today. Unfortunately, this bookmaker does not offer live streaming, but you can guarantee betting on any live event at high odds. This betting site probably offers the largest selection of live betting lines in the world and you can always count on odds above the average. 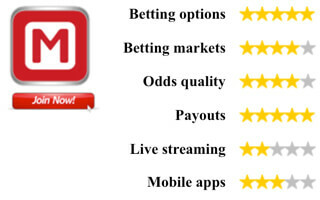 10Bet is not the fastest and handy website, but as for live betting, it is definitely among the best. This bookmaker is not very popular now, but we can safely say - this is one of the most underrated betting sites in the world. Marathonbet offer fantastic choice of events, their odds are always above average, and in most cases the greatest on the market. You will find here all in-play events and all types of bets, including a large selection of Asian handicaps and totals. Marathonbet offer a few video broadcasts, but here is the fastest payments in the world - just a couple of seconds! Their website is also the easiest-to-use and fastest among all. The legendary British bookmaker offers one of the best live services in the world! You will find here a huge number of events and all types of bets, including those that no other betting site offers. It is worth noting that William Hill do not propose Asian handicaps and this is a big disadvantage. You can watch most sports events and place any bets that are instantly processed. The odds are one of the highest on the market, and they are even better than this bookmaker offers pre-match! This betting site cannot be named among the most popular in the world, but in fact, TitanBet offer a top-quality service. The only drawback is the lack of live streaming, but you will have possibility to get all needed information from graphics with statistics. The bookmaker set average odds, but you can find truly unique types of bets here. Excellent mobile applications and fast payouts help you to bet on the go and quickly turn the bankroll. Well, the cherry on the top, Not for nothing are TitanBet known as the king of bonuses - you will be pleasantly surprised by the number of current promotions! What should you know about live betting? Indeed, live betting can become more effective and profitable than pre-match betting, but you should not just place bets, while watching the game, you always need to have the long-prepared plan! Of course, the main advantage of live betting is wagering at high odds. How beneficial it might be? You won’t believe, but it can bring a really huge extra profit and even turn losses into profits. It's quite simple! We are all looking for bookmakers with the greatest odds, believing that this will bring us a profit in a long run. That is true. Let's imagine, for a moment, the following situation. You have placed 11 bets of €10 each at even odds and 6 of them won. If you bet at the bookmaker with low odds, say at @1.85, your profit would be (€60 x 0.85) - €40 = € 11. If you place a bet under more favourable terms with another betting site, say at odds of 1.95, then your profit will be € 17, that is 1.5 times more! But there is even more effective way to make bets – you can bet during the game! Let's say you chose a home win at odds of 1.85, and as soon as you heard the whistle to start, the odds begin to grow and after 10-15 minutes, you can already bet on your market at @2.00. It is easy to calculate that in a long run such bets will bring you 82% more profit (if your hit rate on even odds is 60%)! Yes, you ask, what if my team will score during 15 minutes. Well, at least, you will lose nothing! But it is also possible that your team will concede first, and then you can still bet on it, but at totally crazy odds and win a huge money, or do not bet and avoid defeat! In any case, when you make a live bet, you always make it at value odds. 1 With in-play live betting, you have a huge advantage over the bookmaker, because even their huge analytical department cannot keep tracking all the games at the same time, but you can have an eye on the certain game and depending on the current situation in this game choose the right bet! In fact, bookmakers generate live odds automatically, using only their programs and statistics, they do not pay attention to what is happening on the football pitch and they do not care which of the teams looks better at the moment. They really don’t care about it, but you do! Moreover, you can bet on an outsider, for example, if you see that they look better. 2 Another undeniable advantage of live betting is to avoid the possibility of losing. Do you know what the probability is in football that the team will win the game if scores first? You may think it is high. Well, you'd be surprised, such probability is only nearly 50%. That is, when you bet on a team and it scored first, do not rush to spend profits and open a bottle of beer, in half of the cases you can lose as the opponent will win from behind or level the score at the end of the game. It is very simple to avoid such situations! Suppose we have pre-match betting lines on Chelsea vs Arsenal 2.30-3.30-3.50 and you bet €100 on the hosts. During the game, Chelsea scored first, and in such case, the odds on ‘Arsenal to Win or Draw’ will be around @3.80. So what you need to do? Right, just place bet of €35 on ‘Arsenal to Win or Draw’. If Chelsea win, then you will get €130 - €35 = €95, but if Chelsea do not win you will break even and will not lost a cent! Thus, you would guarantee yourself a profit regardless of the eventual outcome. 3 You can also use this ‘insurance’ system for accumulator betting. The main condition is that one of the games shall be started only after the other game has already ended. Let's look at an example. You want to bet on two home wins in the matches Crystal Palace vs Swansea (2.01 - 3.54 - 4.25) and Chelsea vs Everton (1.43 - 4.90 - 9.00). The total price of your double will be 2.01 x 1.43 = 2.87 and your bet of €100. Let's say that Crystal won and you are waiting for the result of the second game in London. To guarantee a profit, you simply place a single of €47 on ‘Everton to Win or Draw’ at odds of 3.10. If Chelsea win you will get €187 - €47 = €140, if the Toffees take points - you will not lose a cent. Yes, live betting is a great way to win more and lose less! However, you need to remember a few important things! Look at these funny guys in the picture and never follow their example! You must completely exclude alcohol, passion and fuss during live betting! In case of defeat, never try to recoup right away, just wait and relax, you will still have time and opportunities. Moreover, never take spontaneous and ill-considered decisions. You have to prepare for upcoming games and determine the strategy in advance how and what odds you will bet on and depending the situation on the pitch to make a decision - to bet or not to bet. As John Rockefeller said, money likes silence! What betting site to choose? 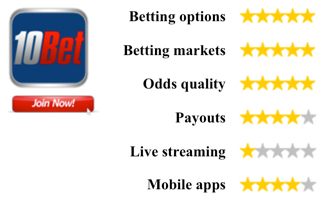 And of course, for a successful live betting you will need the best betting site! If the bookmaker offers good pre-match betting lines, it does not mean that it will be the best option for live betting. 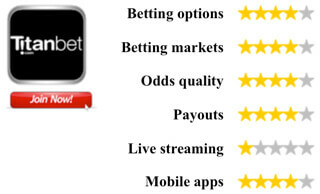 In fact, it is not difficult to select the right betting site - such bookie needs just to meet the following criteria. A great choice of events, as you must be sure that you will find any game you are interested in the betting lines. A wide range of markets, as you must be sure that you can always bet on any market that interests you. High odds will ensure profit in a long run. Fast payouts will ensure you a successful betting even with a small bankroll, because you can place a new bet on the money that you have won just a minute ago. Live streaming and info graphics will help you make the right choice and objectively assess the current situation in the game. Mobile applications will help you always be ready to bet, where you were not at this moment. You must always be able to bet on the go. 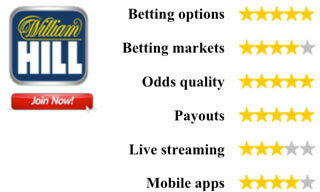 If the betting site meets all these requirements - it's your choice! We will share our experience and help you make right choice. Let's compare the leaders of the market and try to find out which betting site is the best for live betting! Get £20 free bet at Marathonbet!